Following on from the success of the landmark ATH-MSR7 headphones, Audio-Technica introduces its new active noise-cancelling counterpart, the ATH-MSR7NC. Combining faithful reproduction of high resolution audio with the latest active noise-cancelling technology, there is no compromise in sound quality between the passive and active modes. These over-the-ear headphones deliver both the ultimate listening experience and the final word in comfort for enjoying music on the move or at home. 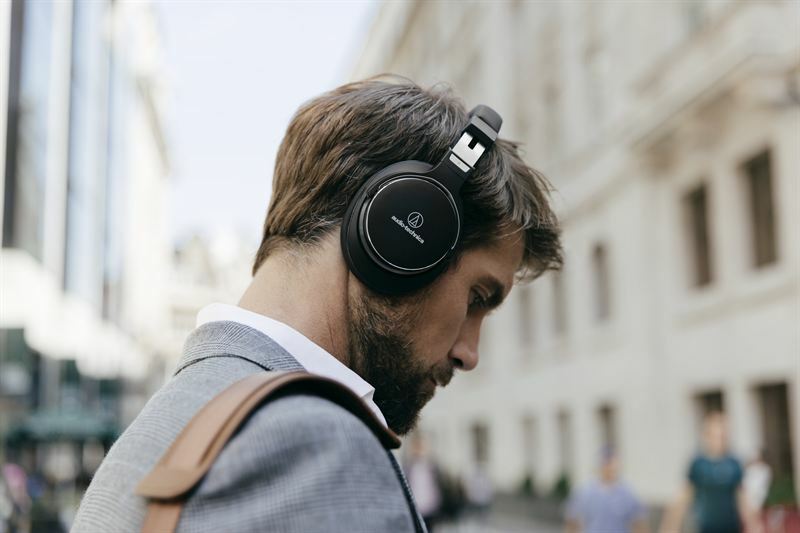 Whether savouring the stunning sonics of the latest high resolution audio formats or getting lost in the immersive qualities of the noise-cancelling technology while travelling, the ATH-MSR7NC never compromises on sound quality. By carefully positioning the mic and the acoustic vent 90º to each other there is minimal difference in the audio performance between the two modes. 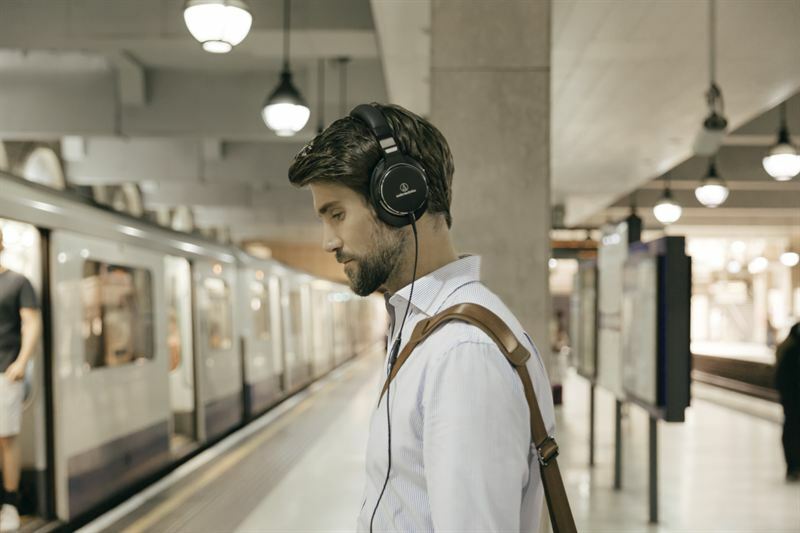 Harbouring innovative 360º omnidirectional active noise-cancelling features, the ATH-MSR7NC effectively blocks out unwanted ambient noise for a more relaxing and engaging performance wherever you are listening . An unprecedented 30 hours battery life from a single four hour charge means music fans are never without their favourite tunes, especially when undertaking long journeys. The ATH-MSR7NC have been specially designed to maximise comfort during long listening sessions. Soft memory-foam ear pads fit securely and snugly around the ears with the housing shaped to mimic the profile of a whole ear for an enhanced fit and to optimise the deeper bass sounds. Its swivel design provides flexibility to instantly find an accommodating fit. Steeped in the professional audio heritage of the award-winning ATH-MSR7 headphones, this new model is primed for the authentic playback of high resolution audio. At the heart of these headphones are the 45mm “True Motion” hi-res audio drivers that combines a precision diaphragm and extra light-weight voice-coil to improve response times and reduce sound distortion for a fluid, detailed and accurate sound. Elsewhere, Dual-layer Air-Control Technology has been specially developed to ensure the ATH-MSR7NC delivers a dynamic sound. Using of mixture of layered aluminium and magnesium materials, the housing’s lightweight but rigid structure reduces unwanted vibration that can tarnish sound quality. Within this layered construction, a Triple-venting Acoustic Airflow design features three precisely placed ‘vents’ that control the air flow to give a much more engaging and richer sound. For the frequent traveller the ATH-MSR7NC arrives with handy accessories: a USB charging cable, a carrying pouch to the keep the headphones protected during transit and an airline adapter so users can enjoy to in-flight entertainment. Also supplied are two 1.2 metre detachable cables – one of which features an in-line remote control and mic for those listening via a smartphone.